Lafayette Property Management and Property Managers, Lafayette Houses and Homes for Rent | Phoenix Realty and Property Management, Inc.
Phoenix Realty & Property Management, Inc. has proudly offered complete residential property sales and property management services to home owners and home buyers in the Boulder and Denver Metro Areas, and across the Front Range since 1986. Whether you reside in-state or out-of-state, are looking to purchase or sell, or are in need of property management services, Phoenix Realty and Property Management, Inc. is your Residential Property Management Expert and will help Make Your Real Estate Goals a Reality. 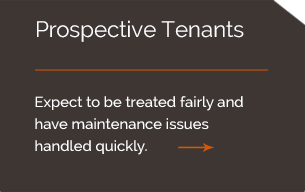 Property Management: We understand renting an investment property is not easy, and that there is much more involved with being a landlord than simply placing a sign in the ground and collecting rent. 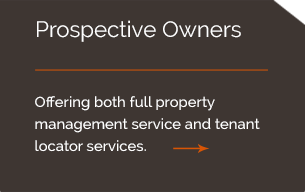 Whether you are just looking for help marketing your property and screening tenants, or would like the luxury of just sitting back and collecting a rent check, our services allow owners a choice in how they want their properties managed. Real Estate Sales: Thinking of buying or selling a home? Looking into purchasing or selling an investment property? Want to diversify your investment portfolio into Real Estate, or become a landlord? 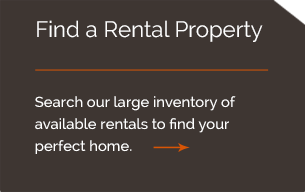 Whether you are a first-time home buyer, a seasoned investor, or are simply ready to move on from your current home, Phoenix Realty and Property Management’s licensed and accredited team of Realtors look forward to being your trusted advisor and partner, fulfilling all of your real estate needs. "Jim has been an absolute pleasure to work with. We wanted to rent out our house in Erie, but the time of year was pretty bad - right around Thanksgiving time. After talking to a couple other property management companies, it was clear that Jim and his team were head and shoulders above the other companies. Within a few days, we were surprised to hear we were under lease already! " "Michelle Irons was great to work with during the three years I leased out my townhouse in Longmont. She is very responsive, professional, and easy to work with. I highly recommend her and her team to anyone who needs a property manager." "Phoenix Property Management seems to have struck an excellent balance in the management industry. As a tenant, Michelle and her staff are immediately responsive to emails and phone calls, responds to maintenance requests, and perhaps best of all the rent payment system is electronic and pain free." "As a landlord for a property in a different state I would LOVE to have a Phoenix of my own because good, reputable property management companies are hard to come by. Michelle successfully manages for the property owner while providing quality housing for the tenants. Whether you are a potential tenant or a property owner looking for a manager Phoenix Property Management is the right choice." "Not only did we get it listed sooner than expected, the rent was much closer to what we were hoping to get (and about 10% more than other companies said they wanted to list our place for). They’ve been extremely responsive over email, all hours of the day and days of the week. I couldn't recommend Phoenix Realty enough!" "I have worked with Michelle and her group over a Phoenix Realty & Property Management since 2012. In a few words, proactive, professional, solid, and very knowledgeable about the real estate market in their territory. I have had a solid, reliable tenant with absolutely no problems since the home was first rented. I am very grateful and would recommend them in a heartbeat." "I have rented from Phoenix Realty for years and I have had a great experience! Maintenance issues were always handled in a timely and professional manner. Overall, I can say Phoenix is a great property management company and I have had a very positive experience!" "Phoenix Realty is a really good company to work with. We rented with them for 2 years. When there were issues they were right there to fix them. Communication was excellent with them. I would recommend Phoenix Realty in the future for anybody."